As an undergraduate student at the University of Colorado, I began a strange affair with the history of the Vikings and Old Norse mythology. Hence, my first trip to Iceland, over 15 years ago. In fact, I had organized to spend my college junior year studying abroad in Uppsala, Sweden. But, I ended up meeting an Australian and changed my plans to study in Sydney, Australia, instead. These things happen. This summer, when l received Scott’s Cheap Flights email about a deal to Stockholm via Iceland, the husband and I bought our tickets immediately. Sadly, no destinations in Sweden are a direct flight from Washington, D.C. However, I visited the country in September as part of my Icelandair stopover ticket, and recommend that you do the same. 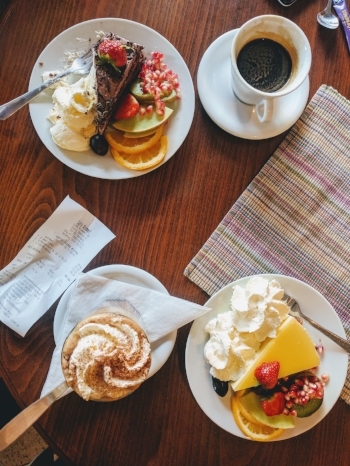 I first was introduced to the concept of fika through an episode of House Hunters International. Despite my subtle contempt for the show, I was enamored with descriptions of the nationally sanctioned tradition of eating decadent cakes at 10 am. Sweden, in the flesh, did not disappoint. 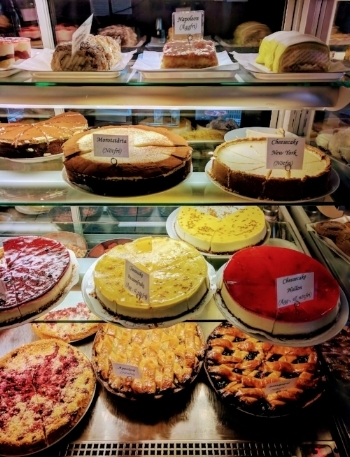 A stroll down Uppsala’s streets revealed bakery windows filled with kaleidoscopes of confectionery. I think approximately zero were gluten-free and it was glorious. 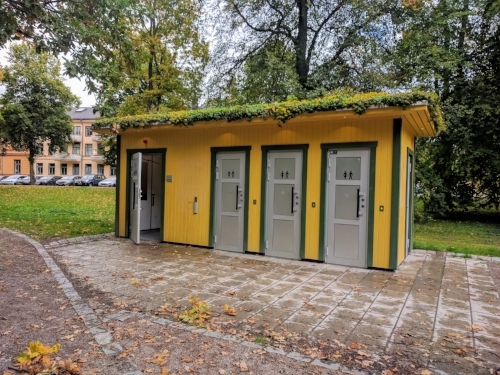 If I ever hit upon hard times, I’ll simply move into a Swedish public toilet. They are that nice and probably had more amenities than my London college apartment. Living roof, public bathroom, Uppsala. 3) Bedding for both of you. Sick of your partner stealing the duvet? Not going to happen in Sweden. Every double bed had a set of two duvets, sheets, pillows made up next to each other so that you could snuggle in your own sheets while still sleeping next to your honey. Genius. 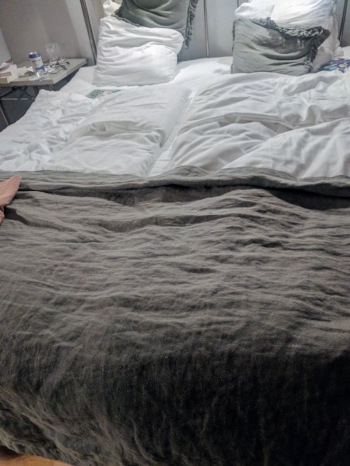 Forgot to take a picture of the bed before we slept in it…oops. 4) Boot horns, standard in every home. 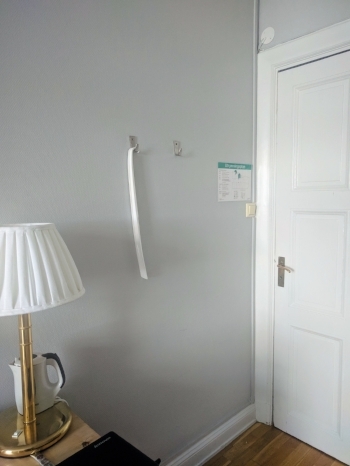 This must be standard in every home in Sweden because I saw one provided by the door in each place I stayed. I was amused because I’ve survived over 30 years without ever needing one. Though the other day the husband was reduced to using a kitchen spoon to slip his boots on, so I guess we know who has this figured out. Riveting image of authentic Swedish boot horn in the wild. Being mildly neurotic, I insisted on getting some Krona out of the ATM about 30 minutes after landing in Stockholm, despite hearing rumors of debit cards being accepted everywhere. I shan’t have bothered, as Sweden really is on its way to being a cashless society. In fact, I saw restaurants and shops with signs alerting customers that cash was not accepted as payment. 6) Lingonberries everywhere! Why are they so good? Why can’t we get them anywhere else? So many questions. 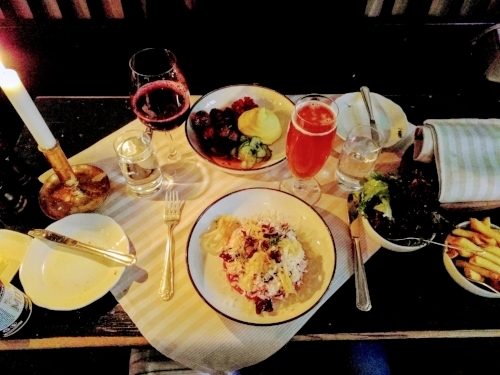 My first meal (top) in Sweden involved non-alcoholic wine and lingonberries for the win! As a non-drinker, but one that likes to go out and enjoy some atmosphere, a nice dinner will always be a bit of a disappointment when I’m forced to order a Diet Coke with my reindeer meatballs. I was delighted to find a thoughtful and exciting list of non-alcoholic wines, beers, and cocktails in every establishment I frequented, from the most divey pub to upscale restaurants. It’s an alcohol-free paradise! Yes, I know I’m boring. Been to Sweden? What was your favorite quirk? Besides the boot horns, obviously. Why Don’t You Travel Anymore?